From media insiders to the halls of politics, news travels fast on Twitter, making it one of the most powerful social media channels for disseminating or collecting information. Now, for better or for worse, you can immerse yourself in the data firehose of Twitter in augmented reality. 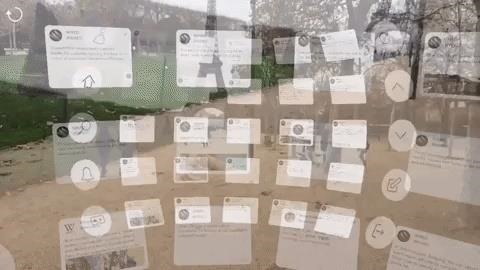 Available now in the App Store, TweetReality uses ARKit to convert your Twitter feed (as well as your mentions and tweets) into a virtual, concave wall spread across your field of view, Minority Report style. 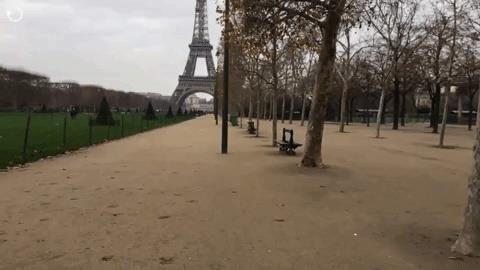 The Twitter client gives users the ability to perform a few basic functions in AR, including zooming into the wall by moving their iPhone (or iPad) closer to the virtual display, and tapping on tweets to extract them from the wall and view replies. Users can also compose tweets, retweet and like tweets, reply to tweets, view mentions, and even perform searches. However, the app is missing a few features, such as the ability to follow links to other sites, one of the key features on Twitter. Also, while pictures are visible, I wasn't able to view videos or gifs. As someone who jumps on Twitter several times a day, the ability to see my Twitter steam jump out of the bounds of my monitor or touchscreen to the space in front of me is an exciting prospect. But even in TweetReality, it's really still trapped in a screen, so this seems like something that would be best experienced in a headset or through smartglasses. As luck would have it, there's also a mode that splits the screen for viewing in a Google Cardboard headset. Assuming your Cardboard headset has a window for your smartphone's camera, you can marvel at what Twitter might look like in the future through Apple's smartglasses (whenever they arrive). If you're addicted to Twitter, this is a great peek at the future of immersive social media. But, as it stands today, it's more of a gimmick than a utility.